*This list and commentary originally ran early this month at Baseball Prospectus. You should be reading BP, but I don’t think I need to tell you that. What can three months teach us about the landscape of talent in the minor leagues? Most of the time, that short span teaches us not to overrate three months of performance. For example, if you had jumped off the Shelby Miller bandwagon at midseason last year, when he had an ERA of around 6.00 in the Pacific Coast League, you probably had a tough time squeezing back onto it when he turned things around. Then again, this isn’t specific to just three months worth of performance—the top of prospect lists are littered with players who had down years and were soured on. Eric Hosmer had a terrible 2009 campaign in Low-A before reestablishing himself as a stud the following season. Wil Myers had an extremely disappointing 2011 season, which caused his prospect star to dim. And that’s without even getting into the players whose promise wanes without any good reason other than time. As we’ve become more aware of the minor leagues in general, the concept of “prospect fatigue” has taken center stage—and it’s only gotten worse with Mike Trout and Bryce Harper exploding into our consciousness at such a young age. It’s simple: The longer a player remains on the prospect scene, the easier it is to gloss over his talent. You don’t just see this with post-hype prospects like Domonic Brown, Julio Teheran, and Martin Perez (all top-10 talents at one point), but you see it with current members of this list. It’s starting to happen to Billy Hamilton and Jonathan Singleton. The climb for prospects is never one that is straight uphill—and just because a certain player’s stock is down from a fantasy standpoint, that doesn’t mean that the “next big thing” has more value. First, there are a few disclaimers specific to the prospect list to go over before we jump in. Again, these rankings are for fantasy purposes only and do not directly take into account things like an outfielder’s ability to stick in center or a catcher’s pop time. Of course, these things do matter indirectly, as they affect a player’s ability to either stay in the lineup or maintain eligibility. So, while Austin Hedges may be a top-20 prospect on BP’s Top 101, this is due in large part to his defensive value, and you’ll see that he’s not on this list because his upside isn’t nearly as great for fantasy. They are also measured for a reasonably deep mixed league (15-16 teams) with standard rotisserie settings. That means if you’re in a 10-team league, the big risk/reward prospects should get a bump in value—with the safer prospects getting more of a bump in a single-league or 20-team mixed format. Additionally, home parks need to be factored in, just as they are when we discuss the fantasy merits of major-league players. Since A.J. Burnett’s fantasy potential increased greatly when he went from New York to Pittsburgh, we can’t pretend that these prospects operate in a vacuum, unaffected by park factors. Of course, there’s no guarantee that they will reach the majors with their current organizations, so although present teams are reflected in the rankings, they are not a heavy consideration. Most importantly, the intention of this list is to balance the upside, probability, and proximity of these players to an active fantasy lineup. Finally, with the ambiguity of mid-season eligibility hanging over our heads, I decided to remove all players who are currently in their future roles at the major-league level. That means no Gerrit Cole, Zack Wheeler, or Wil Myers, even though they all still technically have prospect eligibility. I also did not rank players like Tyler Skaggs or Trevor Bauer, who, despite still having eligibility, are more known commodities at the major-league level. And finally, I am only including 2013 draft picks that have officially signed, which is why Kris Bryant isn’t on the list. If he had signed, he’d be right inside the back end of the top-20. What has changed: Not much. 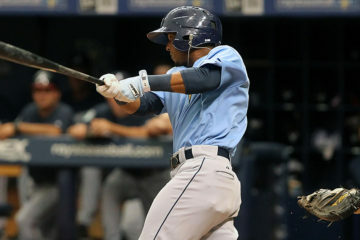 Taveras is still the best hitter in the minor leagues, despite missing time this season with a lingering ankle injury. And don’t lose sight of the fact that he just turned 21 years old in late June. What has changed: He’s getting closer. And for those of you who were worried about his 21-to-1 strikeout-to-walk ratio in a small Double-A sample last year (even though I told you not to be), he’s at 68-to-47 across both levels of the upper minors this season. And he’s even thrown in a career-high seven steals. What has changed: Everything. Buxton has exploded into everyone’s consciousness this year, and has the highest upside of any player on this list. And when I say upside, I mean that he has the tools to match the stat line of Mike Trout’s 2012 season. His risk factor has also decreased, as he’s nowhere near as raw as he was advertised to be coming out of the draft. What has changed: You may notice that the “OF” dropped off his headline, which is potentially the biggest boon to his fantasy value. The reports have shifted from Sano being a liability at the hot corner to a potential above-average defender. If he sticks at third base, which seems likely at this point, his still-insane power will be much more valuable. What has changed: The risk. Stealing 80 bases again in the minors is great and all, but when it comes with an on-base percentage around .300 in Triple-A, some chinks in the armor start to show. He can still be plenty valuable as a bottom-of-the-order speedster, but that’s not what we were hoping for coming into the year. There’s still plenty of time for him to turn this around though, so let’s not rush to label him a faster Dee Gordon. What has changed: Absolutely nothing. Baez is still showing off all of the tools you would want for fantasy purposes, and he’s still showing the same plate-discipline issues that have followed him around since being drafted. His big test will come in Double-A, where he was promoted last week. The upside here is second only to Buxton’s. What has changed: An improvement in control has moved Bradley up to top-pitching-prospect-in-the -game territory, and it’s been staggering enough that he may even see major-league time before the end of this season. He’s been nothing short of dominant all season long. What has changed: The tools translated into performance for Walker in his return trip to Double-A, and he’s carried it with him into Triple-A as well. And while it may feel like he’s been around for a while now, Walker is actually a few days younger than Archie Bradley. What has changed: A lowered risk factor. Despite missing most of June with an abdominal injury, Yelich has built off his strong spring and more than held his own in Double-A. And don’t let the middling batting average fool you; Yelich still has one of the strongest hit tools in the minor leagues. What has changed: He’s no one-year wonder. There’s always a risk with guys who have surprisingly strong full-season debuts, but Polanco has followed it up by being even better across High-A and Double-A. He could be a slightly-more-valuable version of his future teammate and outfield partner, Starling Marte. What has changed: He’s more than living up to expectations, but he has been overshadowed by the Buxton Show. Last time I checked, an 18-year old shortstop with a .325/.416/.460 line in full-season ball is worthy of running up prospect lists, both fantasy and otherwise. What has changed: Just because Bradley has jumped ahead of him in the rankings doesn’t make what Taillon is doing this season any less impressive. He should still take his rightful place as the number two in the Pirates rotation behind Gerrit Cole in relatively short order. What has changed: A lot. The concern coming into the season was that the high-octane offensive environment of Lancaster heavily influenced his numbers, but Springer is showing that he can hit plenty outside of the California League. He boasts one of the best power/speed combos in the minor leagues. What has changed: After a bit of a slow start at Triple-A, Castellanos just continues to hit. In fact, in the month of June, he hit .361/.441/.583 with five homers, 16 walks, and only 13 strikeouts. Those plate-discipline numbers are a big deal for someone who had 76 strikeouts to 14 walks in 79 games at Double-A in 2012. But his move from third base to the outfield does lower his value slightly. What has changed: The hype from spring training turned out to be fully warranted, as Gausman earned a call up before Memorial Day. And he’s pitched much better in the majors than his 5.97 ERA would indicate; he also has a 3.7 strikeout-to-walk ratio and a 3.61 xFIP. What has changed: The likelihood of Martinez getting a real shot as a starter at the major-league level has increased, though his value remains buoyed by the fact that he could fail at that and still become an elite-level closer. What has changed: After an aggressive assignment to High-A, Russell struggled out of the gate. But he’s really turned it on over the last two months; since he took a trip to Lancaster on May 10, he’s hitting .304/.357/.569 with eight homers and nine steals in just 48 games. Yes, it is the Cal League, but Russell had also just finished high school at this time last year. What has changed: Nothing. In a small sample since getting back up to Triple-A after his 50-game drug suspension (not the performance-enhancing type, unless you’re talking about downing tacos), Singleton has struggled. But all this is doing is pushing back his debut date—he still projects to be a very solid corner bat for fantasy. What has changed: He’s putting it all together. Not that his 2012 campaign wasn’t impressive, but he didn’t need much more than his 70-grade fastball to navigate the Midwest League. The fact that he’s been better this year shows you where he’s going. He remains a dark-horse candidate to be the best pitching prospect in the game at season’s end. What has changed: The surgery. But don’t freak out—even if Bundy is not back in the majors until the first half of 2015, he’ll still only be 22 years old. That’s how far ahead of the curve he was prior to going under the knife. Dealing Bundy for 60 cents on the dollar will likely come back to bite you. With force. What has changed: Very little, but it hasn’t been positive. He hasn’t shaken his reputation as injury-prone, mostly because he’s missed nearly the entire season due to a fracture in his left foot. But the potential is still there for d’Arnaud to be an upper level fantasy backstop, in the mold of Brian McCann. What has changed: Not much. Soler hasn’t quite hit as much as I thought coming into this season based on his experience and level, but there is still plenty of upside in his bat. The missed time due to injury should not hurt him developmentally. What has changed: Nothing. Fried still has loads of fantasy potential in that left arm of his, and despite not putting up gaudy numbers in the Midwest League, he is still my pick to be the top fantasy pitching prospect in the game after the 2014 season. What has changed: He got drafted. Frazier has the most fantasy upside of anyone in the 2013 draft, and while this is an aggressive ranking, his bat speed alone nearly warrants it. And the impact potential above may underrate his ability to add value on the base paths. What has changed: Higher likelihood of positional eligibility. While Sanchez’s defense is still questionable, we don’t really care if he’s any good behind the plate for fantasy purposes, we just care that he’s there. He’s still a compressed version of Jesus Montero: less bat, more defense. What has changed: He got drafted. Again. Appel does a lot of things well, but I don’t think the package comes together to form a frontline fantasy pitcher. Then again, it’s not like we’re talking about another Luke Hochevar here. What has changed: Nothing, as he hasn’t played this year. Hasn’t lost any upside though. What has changed: A rise in his fantasy floor and timetable. Not a jump in his ceiling. What has changed: He continues to build around that incredible fastball of his. What has changed: The power has taken a step forward as he has reached the Double-A level. What has changed: He’s continued to make his infielders work extra hard as he awaits a more challenging assignment. What has changed: Nothing. He’s still rising, just not as quickly as his fellow 2012 West Virginia standout, Gregory Polanco. What has changed: His control is rounding into form without his stuff becoming any more hittable. What has changed: His chances of being a starter (and a fine one at that) have increased. What has changed: His Invincibility Star hasn’t worn off yet. What has changed: He’s been even better than advertised in his full-season debut. What has changed: His unexpected control issues from last season and his shoulder issues from April appear to be things of the past [Editor’s note: Oops, not quite]. What has changed: His offensive ceiling continues to creep up as he advances. What has changed: Hasn’t taken that next step forward, but still has all the tools in his shed. What has changed: Can’t stop striking Midwest League hitters out. It’s a good problem to have. What has changed: There’s still heaven in Vogelbach’s bat. What has changed: He needs to cut down on his walks, but man can he miss bats. What has changed: A statistically disappointing season hasn’t put a damper on his potential value. He’s just not a star. What has changed: It’s been a disappointing season so far, but there’s time for him to turn it around. What has changed: Quickly changing his reputation from a gamer to a gamer with tools and more upside than we thought. What has changed: Twenty-six more homers. Twenty-five more singles. What has changed: He’s breaking out, but don’t go too crazy. There’s still a lot of risk here. What has changed: Still chipping away at the bullpen tag. Not that it would be terrible for his fantasy value if he were a closer. What has changed: Very little, as he’s been out since April with a severe hamstring injury. What has changed: Struggling in High-A, but reports still remain mostly positive. Depending on which day you see him. What has changed: Still could be a future first-round fantasy pick. Still could flame out in Double-A. 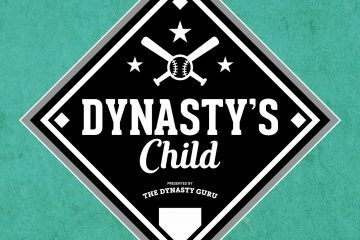 Follow me on Twitter at @dynastyguru. LOL, this was going to be my question too! He’s in the 51-75 range. Still unclear what his offensive ceiling is, but he’s definitely a guy on the rise. Interested to know where you see Kris Bryant falling in relation to your top-50? He’s certainly more polished than Frazier, will likely contribute on a big-league level more quickly, and has a potential Sano-like plus-plus-power tool. Haha. Never mind. I read all the way to the end of your lengthy qualifier. I’m an idiot. We also have to keep in mind about the best new thing. With Alex Meyer moving up the charts, I was given the following offer today in my roto dynasty league. Gerrit Cole for Markakis and Meyer. Is this a good deal? I can afford to lose Markakis because of my OF depth, but not sure if Cole is going to be a top end pitcher at the MLB level. Yes, Cole could be an elite pitcher at the major league level and I would make that trade. What are your guys thoughts on Delino DeShields Jr? Do you think he’s a candidate to pick it up in the second half and possibly be a buy-low target? Sure, he could pick it up in the second half, but his stock is pretty clearly on the way down. Most scouts think he won’t stay at second base and there’s talk about makeup issues on top of that. So yes, he could rebound some value, but he could also go the other way. I saw Keith Law recently rated Eddie Butler as the 28th overall prospect in his mid-season update. I’m guessing by your rankings though that you guys think this rating was too high. Where do you see him once he’s in the majors and will he be effective pitching in Coors? Has Butler also improved his 495th ranking in your top 500 which was posted back in the beginning of July? Is a return of C.Martinez and Marisnick enough for Choo? I’m a couple of years away from competing. It’s an OK return. Ideally, I’d want a top-10 prospect in exchange for Choo as part of a package, but if that’s what the market will bear, that’s what the market will bear. How far out of the top 50 is Danny Salazar? He’s probably in the Top 100, but not particularly close to the Top 50. Too much risk there, despite the quality stuff. My prospects are Cowart, Olt, Hunter Dozier, Jorge Bonifacio, Slade Heathcott, Victor Roache, Bubba Starling, Jesse Winker, Appel, Jonathan Gray, Luis Heredia, and Zach Lee. Which two have the least value? Rymer Liriano and Tyler Austin are available from your list. Also would you do Joe Nathan for Luke Gregerson and Junior Lake? Thanks. I’d drop Dozier and Roache for those two. And that’s a pretty reasonable deal for Nathan both ways, depending on your contention window. Still not a big believer in Lake long-term though. Would you do Nathan for Gregerson and Urrutia? I currently have this offer on the table, what should I do? I’m a year or two away from completing. I could put Urrutia in the minors for this year.